Patients who have coronary artery disease need to have a lower cholesterol. Many studies have been done that show the benefits of lowering bad cholesterol. The drugs most commonly used for lowering cholesterol are called statins. These include drugs such as: Pravachol, Mevacor, Crestor, Zocor, Lipitor and Livalo. These drugs have been the mainstay of therapy for lowering cholesterol for many years. They have proven to be of great benefit in lowering the risk of recurrent cardiovascular disease. There are also some patients who benefit from using these drugs to prevent cardiac events primarily. These drugs do have their limitations. There are potential side effects involving muscle breakdown and liver inflammation. There is some concern that some of these drugs, such as Lipitor (Atorvastatin) might increase the risk of diabetes. In addition, sometimes statin drugs interact with other medications that patients are on. There are also some patients who still have cardiac events despite being on statin drugs. The goal in treating patients is to lower the bad cholesterol to a level around 70. Many patients fall short of this goal. There is a new class of medications that have become available for treating patients in lowering their cholesterol. These drugs are a new class of medication. They are called protein convertase subtilisin/kexin type 9 serine protease drugs. For short, they are called PCSK9 drugs. These drugs act in an area that is extremely important in cholesterol metabolism. They regulate the receptors for your bad cholesterol (your LDL). These drugs have been studied for a number of years now and are now finally becoming available for clinical use. They have proven to be highly effective in lowering your bad cholesterol. They are especially helpful in patients who have a type of high cholesterol that runs in families. This is called familial hypercholesterolemia. The PCSK9 drugs act to increase the number of LDL receptors available on liver cell surfaces. This accelerates the clearance of a circulating LDL cholesterol. The data so far suggests that these medicines are safe and highly effective. There are two drugs that have been released with the approval of the U.S. Food and Drug Administration. These drugs are actually administered by injection. Patients are taught how to inject themselves and they are treated usually every two weeks. These potent new drugs will likely prove to be a very effective addition to the treatment choices patients have for hypercholesterolemia. They will be very useful for the patients who have familial hypercholesterolemia. They will also be helpful for the patients who cannot tolerate statin drugs or can’t reach their goal on statin drugs alone. We are, however, early in our experience with these drugs. Choosing patients for therapy will have to be done on an individual basis and we will have to continue to follow patients long-term to make sure that these therapies are as effective as we hope that they will be. We encourage all of our patients with coronary artery disease to “know their number.” We want our patients to be as close to their goal in their treatment as possible. Feel free to review your cholesterol numbers with your cardiologist at your next visit. If you are having trouble with statins or have not yet reached your goal on therapy, we may have a new treatment to offer you that can help reduce your risk and improve your long-term heart health. 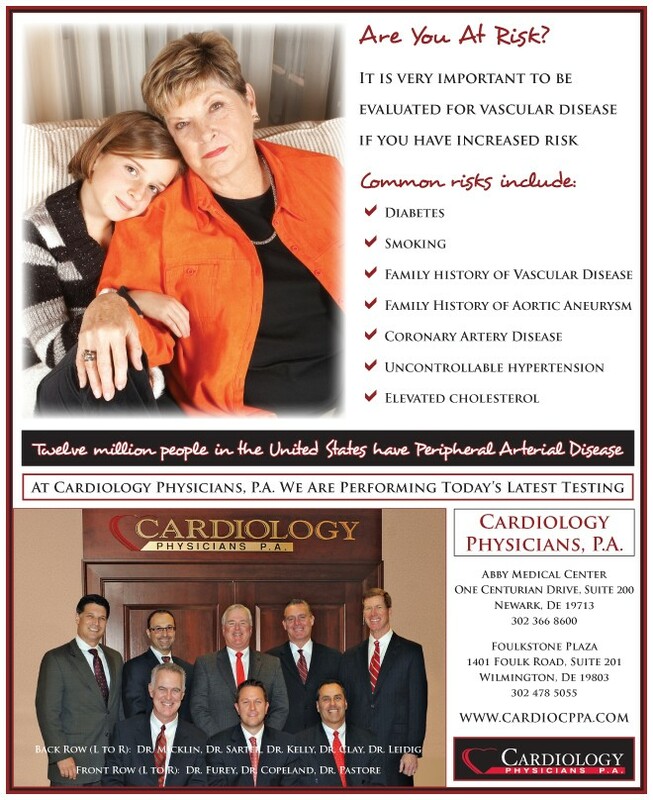 Call us at (302)366-8600 or visit our website at www.cardiocppa.com for more information. Next Story → Give Blood & Win Big!